Your drivers play a key role in ensuring timely deliveries and satisfied customers. That is because they have control over the wheel and are the frontline of your business. But, to make timely deliveries they need well-optimized route. However, you will only get the expected results if they follow the route. So, the biggest challenge lies in how you ensure that they follow the route you have planned. 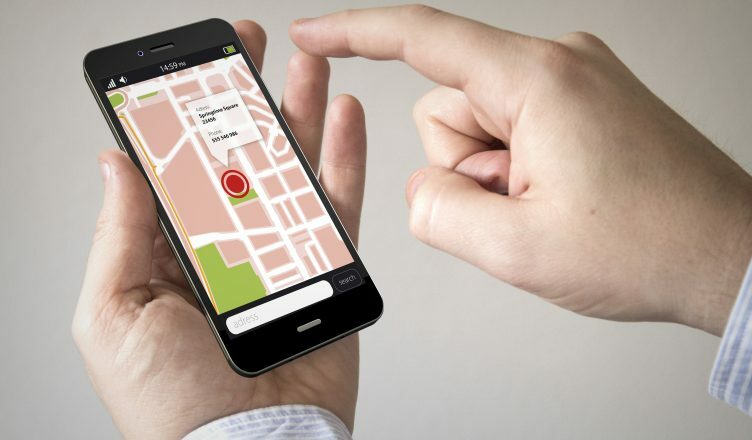 Well… the answer is by tracking what your drivers are doing on the road, every minute and every second of the day which is only possible when you use route optimization software that comes with GPS tracking feature. But, it not only helps you track whether your drivers are following your instructions. There are many other ways in which it can save and help grow your business. Here is how. Drivers often speed up to reach a customer faster, especially when they are behind schedule. This increases the fuel usage and can consume up to 59% more gas. But, you can keep tabs on it, if you know when the drivers are speeding. You can then instruct them to slow down and maintain the standard speed to avoid excessive fuel usage (not to mention possible altercations with the law and damaging your brand). This is what fleet route planning software can help you with. You can monitor your drivers’ speed in real time. In fact, you can even set up an alert for whenever a driver breaks the speed limits in a specific area. But it doesn’t just let you know when they are speeding… you can analyze WHY they are speeding. Is it just the driver or are circumstances creating a need for speed? That way, you can immediately contact and correct the driver’s behavior. There is a psychological advantage to using Route4Me’s Dynamic Route Optimization™ software. If your drivers know that you are tracking them, they’re more likely to avoid risky behavior. So, they will be more cautious. They will also become more alert and it will be less likely for them to get into an accident. This will help you save on replacement expenses, repair costs and expensive liability litigation. So, when the insurance company looks at your tracking data, you can show them that you have safe drivers. This would provide you with the benefit of having lower insurance premiums. Recovering a stolen truck is usually difficult. That is because law enforcement agencies consider stolen goods as a low priority. In such cases, you might have to write off the loss and file the insurance claims. Insurance companies don’t like this, as they have to pay for the loss. This will thus increase your insurance premiums. But, with route scheduling software, you can easily track and recover stolen vehicles. So, you will have no need to be at the mercy of insurance companies. Also, did you know that you can get discounts from insurance companies if you track your drivers? That is because it is also considered an anti-theft device. Insurance companies are bound to offer discounts when you have such technologies on board. For example, you can save a third of your insurance premium when you go with USAA insurance. Similarly, AAA insurance can give you discounts of around 18-20%. Vehicle route planning software comes with a planned versus actual route feature. This enables you to track whether the routes followed by the drivers are the same as the planned routes. As mentioned above, drivers could opt to not follow the planned route for many reasons. It’s not always because they don’t want to follow it. Instead, it could be because of some unanticipated problems. Such problems could include a sudden traffic problem, road closures, diversions, and road conditions. With this feature, you would be able to react quickly. You can then make the necessary changes in real time to maximize your trucks’ use for the day. A tracking system like route optimization software can tell you exactly what a driver is doing on the road. With this data on hand, you will be able to improve your drivers’ productivity. If you can track your drivers, you will know whether a driver is falling behind on the schedule. So, you will know if an important delivery time window will be missed. This will help you reroute another driver. If that is impossible, you can also inform your client about any delays ahead of time. Also, if a customer calls you for an ETA, they will be happier if you can give them accurate data. They will then want to continue doing business with you. Selecting the right routing software can be easy. This is especially true, if you know what features you need to look for. You should look at both the business and technical side of routing optimization software. Are there any additional hidden fees, apart from the subscription? Do you need to buy new hardware? Can you remove routes automatically? How long will it take you to learn how to use it? What do they offer in terms of a tracking solution? These features are critical to making your decision. But, you should also ensure that the software is cloud-based and comes with a mobile app. With mobile enabled fleet routing software, you can plan and monitor routes from your app. And, your drivers can follow the routes from their mobile phones. They just need to install the app on their smartphone. That’s it! There’s no dependency on dedicated GPS devices or any other additional hardware. And, there’s no upfront cost. You and your drivers can use it anywhere you want at any time. Any changes made on your computer are also automatically synchronized with your driver’s smartphone. Most app route optimization software providers also offer various customized and affordable pricing plans. You can even get a free trial to see whether you like using the tool. Also, the route shared on a mobile app is not signal dependent like GPS devices are. So, even if you’re among high-rise buildings or in a remote area, you can still follow the routes. The best part is that you can even plan and track routes from an interactive map screen. According to a report, mobile apps boost employee productivity by 34%. Also, 53% of employees said that working on mobile phones helps them do their job better. So, when you get so many benefits, can you afford not to go for a mobile tracking app like vehicle route planning software? Have you used any route optimization software? Do you have any questions? Please feel free to leave your comments below and thanks for reading!